Power supply, with 48 volt 60 watt output. UL, FCC and CE approved, 100 to 240 volt AC input, 50/60 Hz. 2.1mm x 5.5mm DC power plug 48v 60watt power supply, 1.25 amps. Used to add a 2nd power supply for redundancy or load balancing to our PoE injectors. 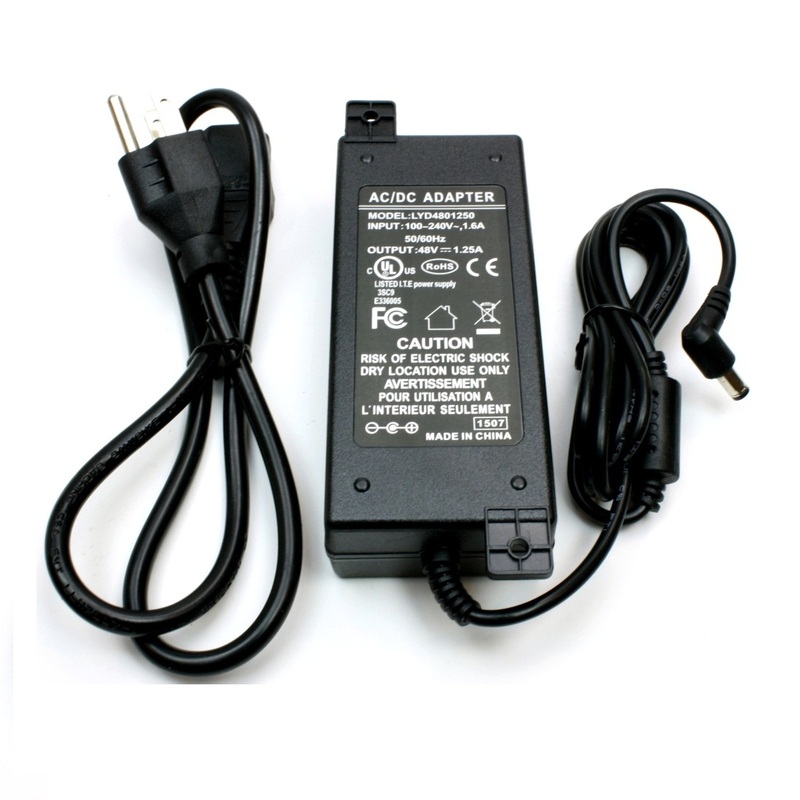 We offer 7 different power supply options as well. Used to provide PoE power to: IP phones like Polycom, Cisco, Yealink, WiFi Access points, IP Cameras, 802.3af devices Full details and data sheet at WiFi-Texas, tech support from Austin Texas. See also 24 volt, 48 volt and 56 volt power supplies.